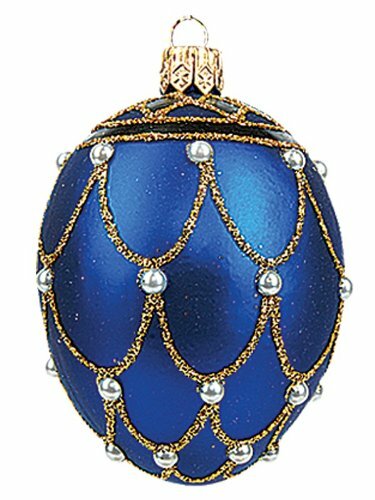 Mini Blue Pearl Egg Ornament. Made in Poland. Imported by Pinnacle Peak Trading Company. Mouth blown and hand painted. Made from glass. Approximately 2.5 inches tall (6cm). Comes packaged in a gift box.